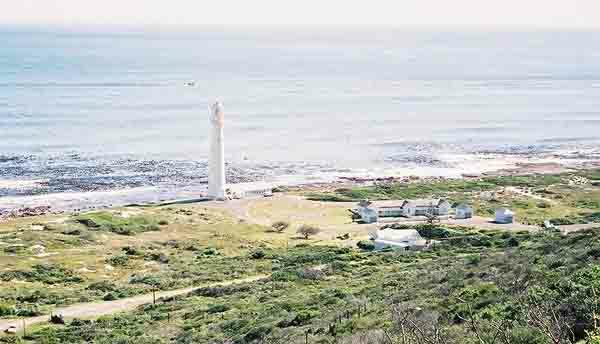 This lighthouse was erected in 1919 and is the tallest cast-iron tower on the South African coastline at 43 metres measured from the base to the top of the tower. 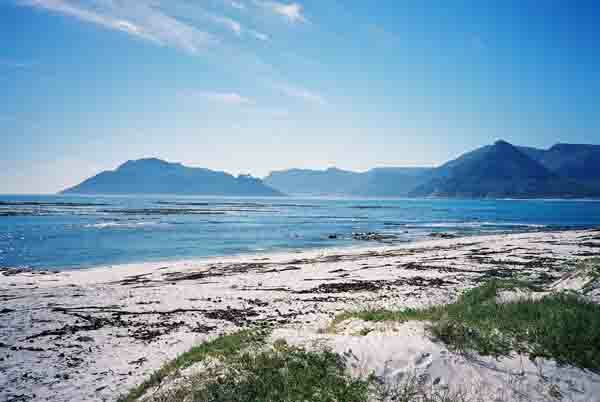 Its tower looks out over the surfers, fishermen and divers of Kommetjie and its purpose is to steer ships around the dangerous rocks and reefs that lurk below it. The inside of the lighthouse is empty except for a couple of landings and a circular staircase which winds its way to the top against the inside wall of the tower. At the entrance on the ground floor are a couple of diesel motors which spring to life the minute the mains power fails. There is an outside balcony which circles the tower at about 30 meters above the ground. This is used by the lightkeepers to clean the windows of the tower. The balcony is made of cast iron in a wire mesh formation so that you are able to see the ground through it. The view from the top is fantastic but if you are scared of heights it is not the place for you to go. 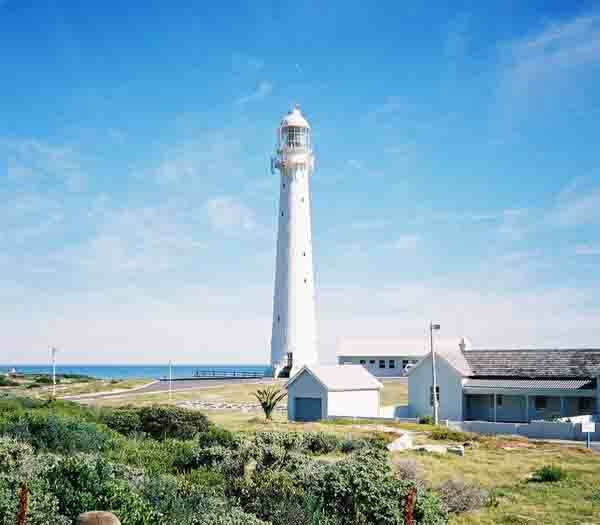 The Slangkop Lighthouse light flashes 4 times every 30 seconds and has a range of 33 sea miles. In the past the light used to be protected by a curtain and every evening and morning the lightkeeper had to climb to the top to open and close them. What a way to keep fit! Looking down from Mountain road. Today the lighthouse is open to the public and you are allowed to climb the tower to see for yourself what only the lightkeepers saw in the past.. The problem is that the poor lightkeeper has to climb the tower more often than he ever did before.